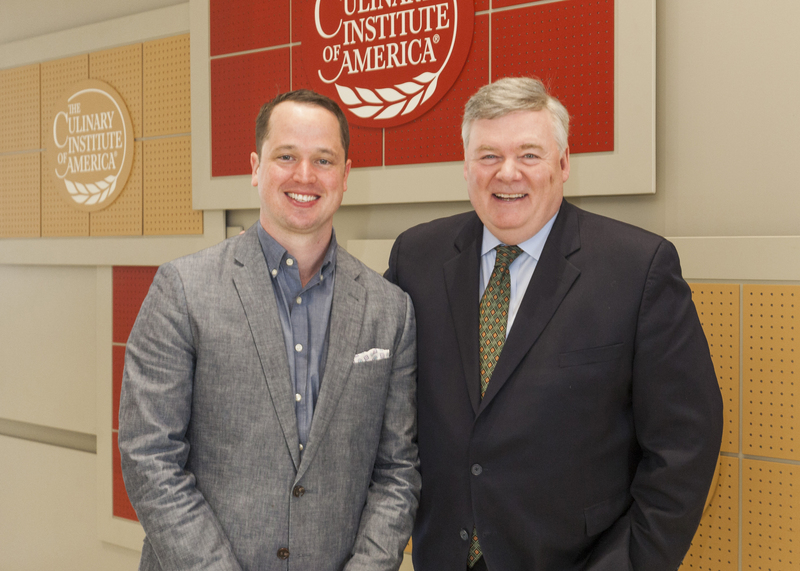 Hyde Park, NY – Bryce Shuman, a 2015 Food & Wine Best New Chef and StarChefs.com New York City Rising Star Chef, spoke to graduates of The Culinary Institute of America at the college’s New York campus on March 24. Shuman was executive chef at the Michelin-starred Betony in New York City for its entire three-and-a-half year run. Before that, he was sous chef and executive sous chef at Eleven Madison Park. During his six years there working with Daniel Humm, the restaurant held three Michelin stars, earned a four-star review from The New York Times, and was ranked in the top five among the S. Pellegrino World’s 50 Best Restaurants. An active supporter of food-related charitable organizations, Chef Shuman is a supporter of the Careers through Culinary Arts Program (C-CAP), No Kid Hungry, and Cookies for Kids’ Cancer. The entire graduation ceremony, including Chef Shuman’s address to recipients of CIA associate degrees in culinary arts and baking and pastry arts, can be seen online.